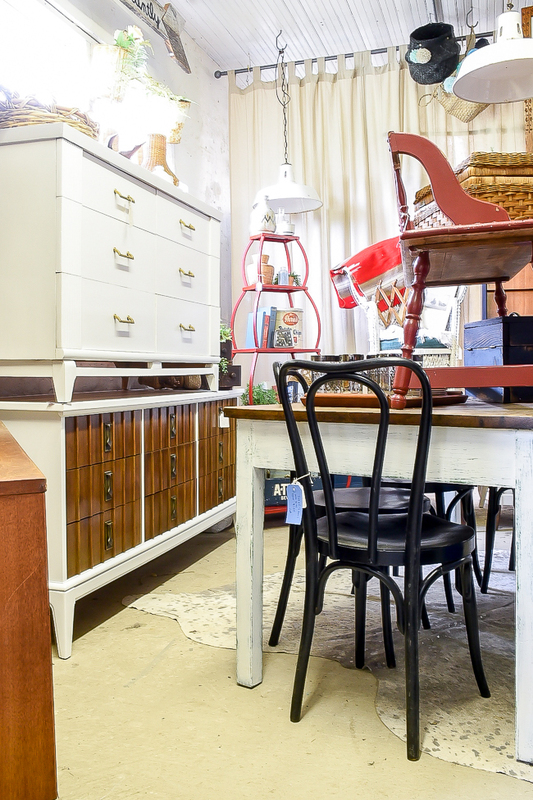 It's almost the third weekend of the month, which means it's time to share our space for Sweet Clover's June sale! 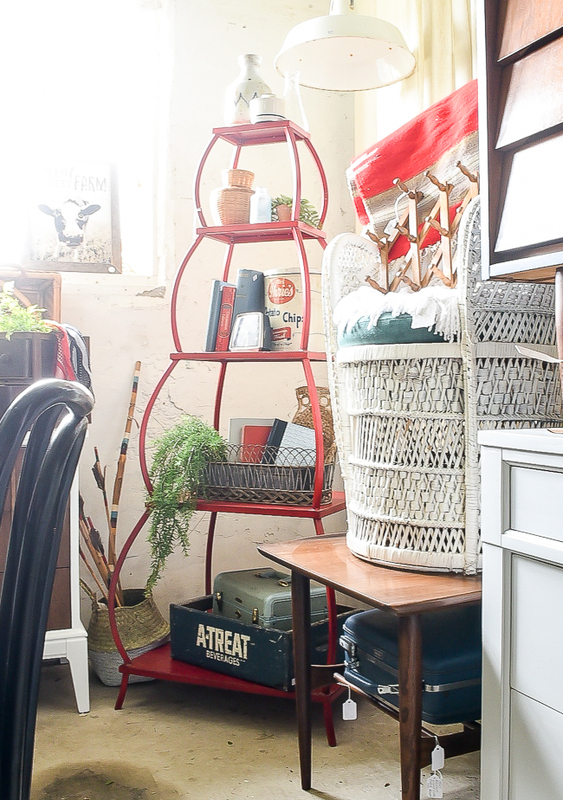 It's not too often that Cassie and I decorate with red (at the barn or in our own homes), but with Fourth of July right around the corner, we busted out some red and added it to our normally cool-toned space. 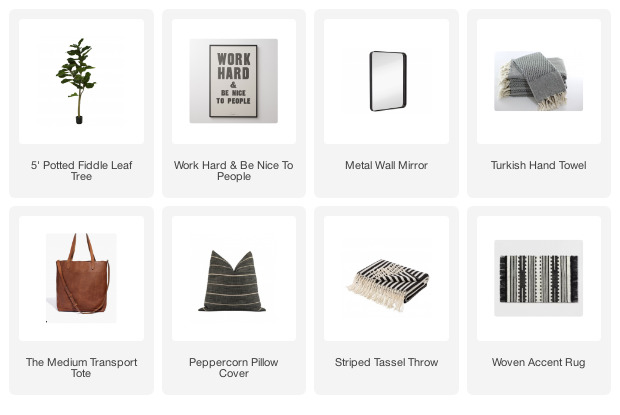 This month is all about white, wood tones, shades of blues and grays with a few splashes of red. It's a beautiful mix of both our styles and I'm really happy with how everything came together. 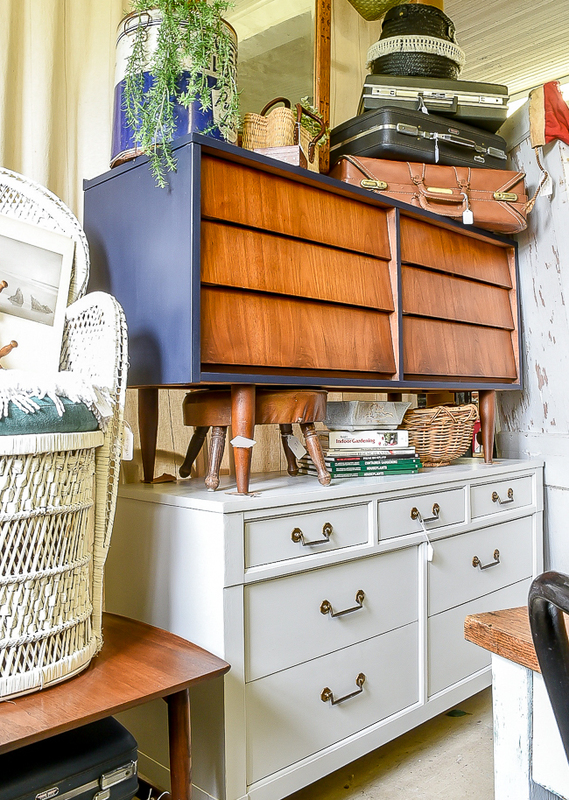 Front and center this month is the beautiful deep Coastal Blue empire dresser that I shared yesterday. 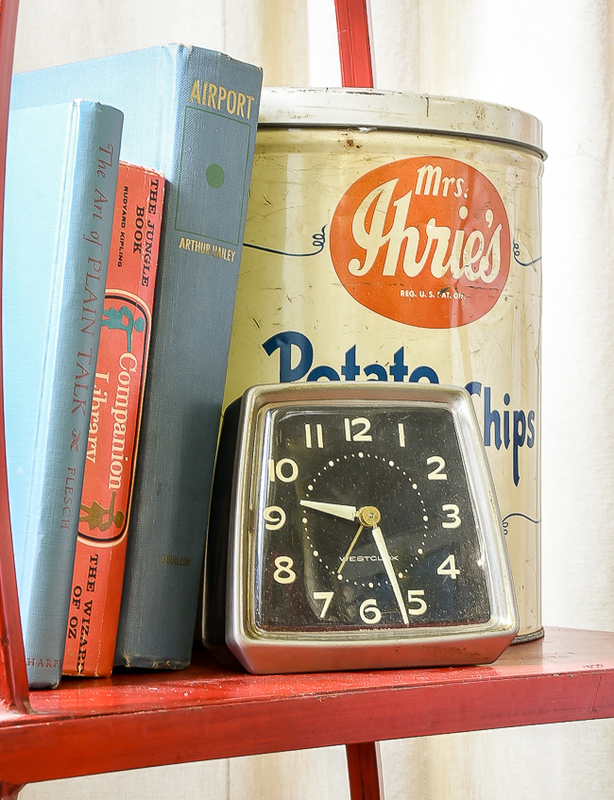 It's a classic vintage piece and it looks great paired with light blue and red. 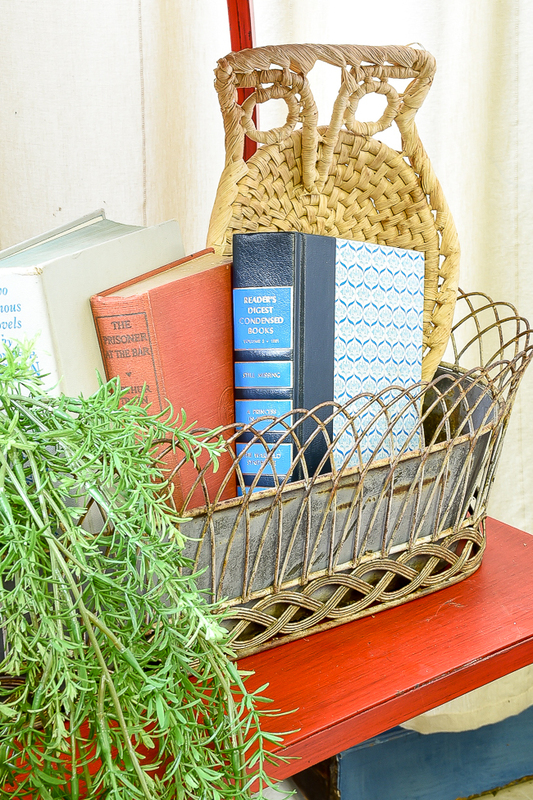 You know I love decorating with books and this month we have lots of them. 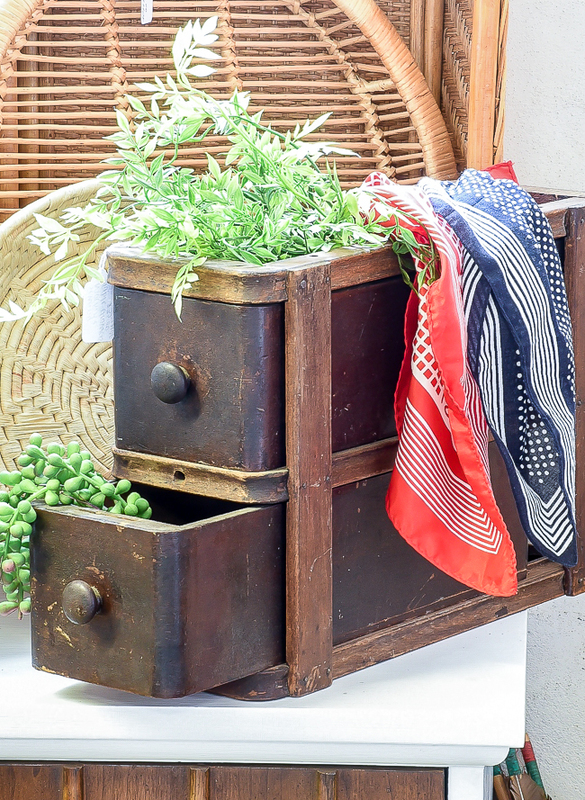 They're great for stacking, adding height to decor and bringing in a bit of color. 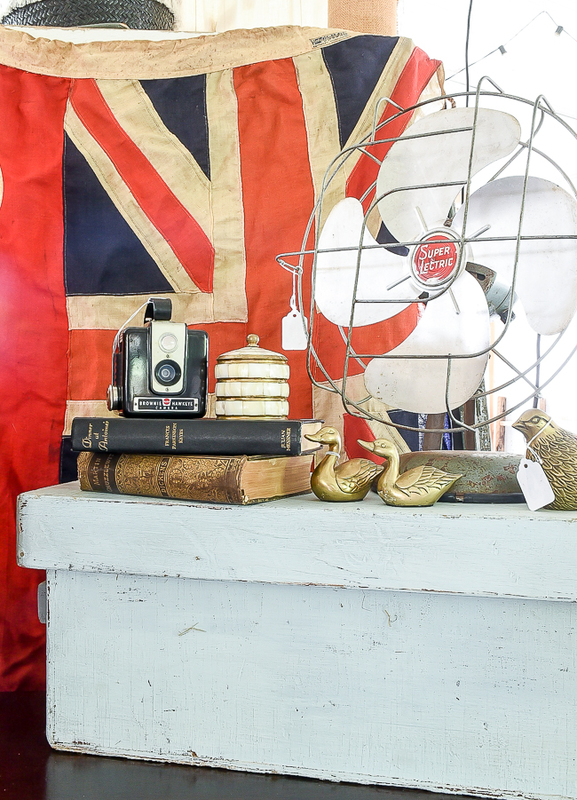 Last weekend, I picked up another vintage Kodak Brownie camera and more brass animals. Apparently, I have a thing for cameras, clocks, scales, and brass. 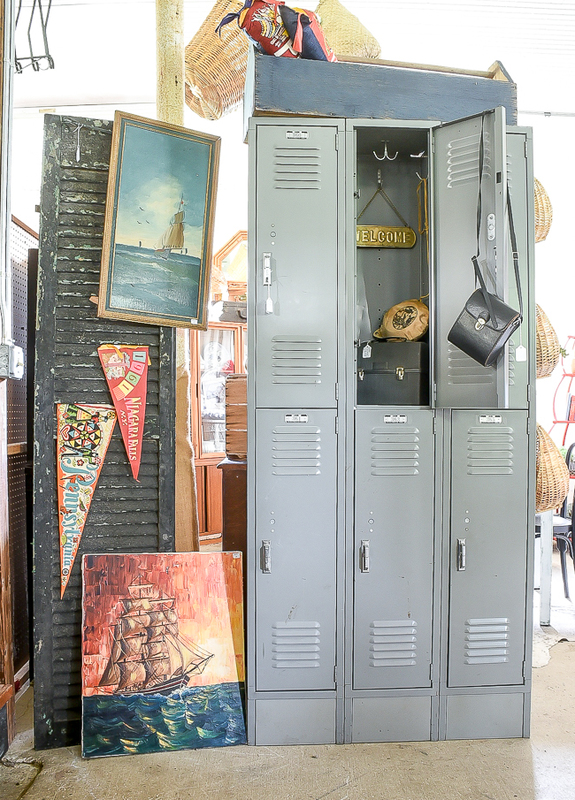 I also brought in another set of lockers this month and an old shutter that came off a schoolhouse that was built in the late 1800's. How cool is that? 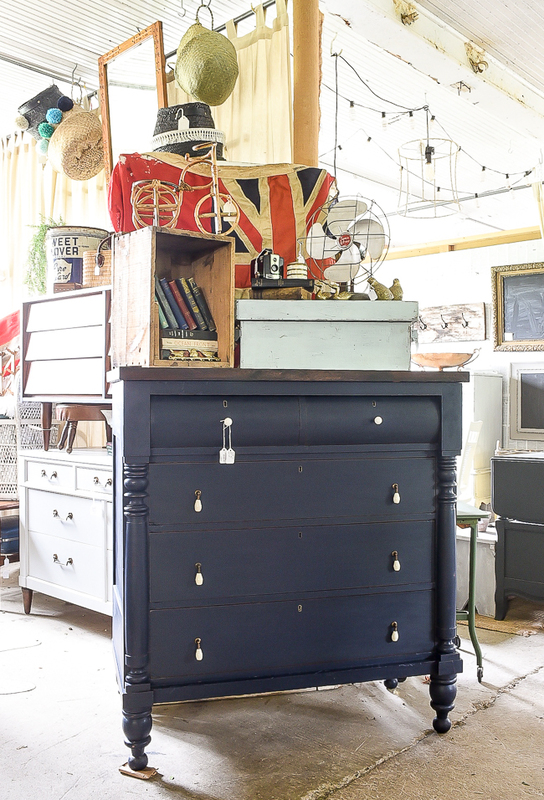 We literally packed and stacked our space this month and have four long low dressers just waiting for new homes. 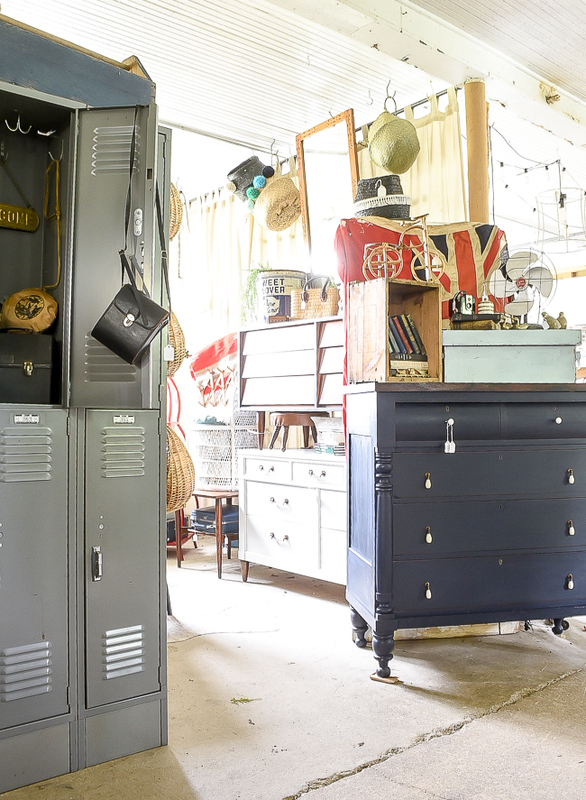 The light gray vintage dresser I shared the other week sits just below Cassie's Coastal Blue and would MCM dresser. I've been keeping this neat collapsable red metal shelf in the garage for a few months because well, it's red. 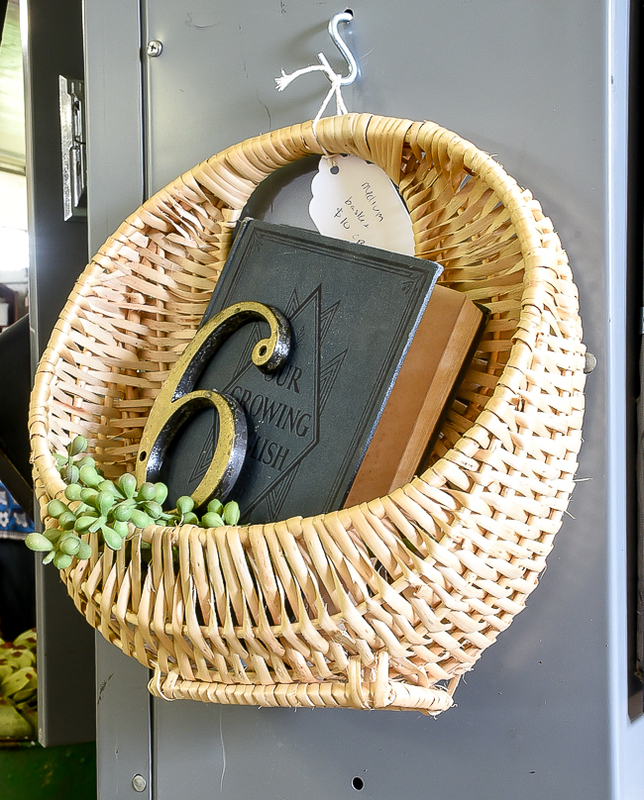 I think it's such a cool piece and would be great for an office or even as a plant stand on a porch or deck. Do you remember the white and wood MCM dresser I had in the booth last month? 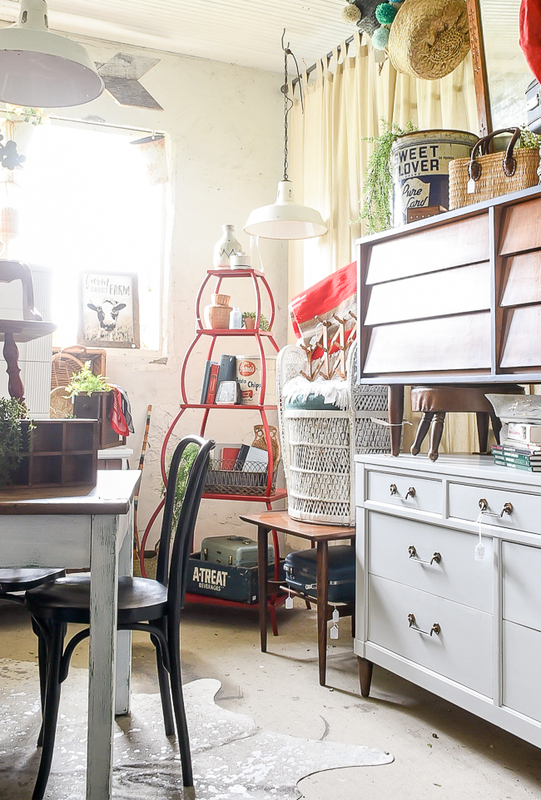 It sold, but Cassie has the matching long dresser in the booth this month and it's stunning! 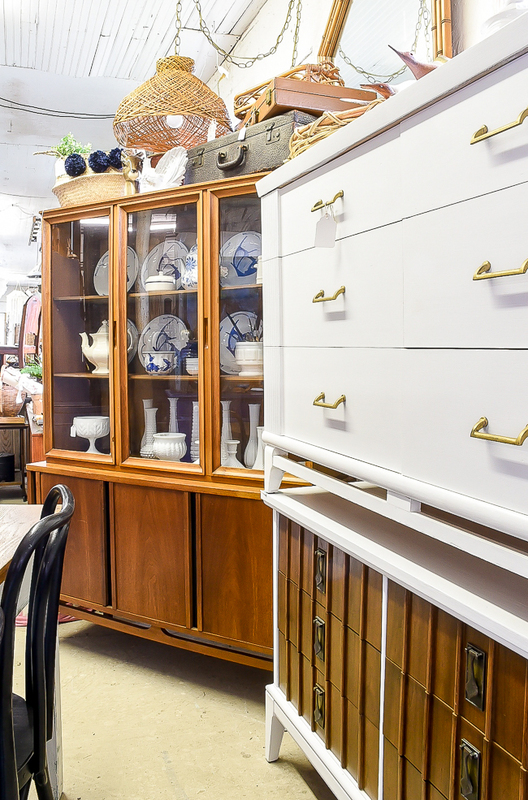 I also brought in a wood MCM hutch that we filled with lots of milk glass and blue and white dishes. 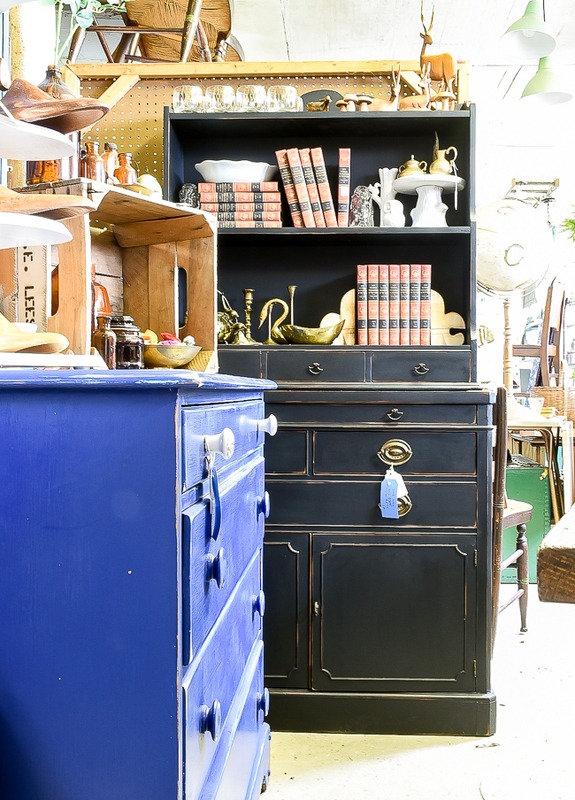 Cassie even marked a few of her pieces down for the sale, including this beautiful black hutch and blue dresser. If you're local to Frederick, MD stop by and check out the barn. I'll be working on Sunday from 11-4 and I'd love to meet you! wow, what a gorgeous space! ;) your photos make it look even better! cheers to a great sale! How much is the black dresser/ hutch that was marked down? 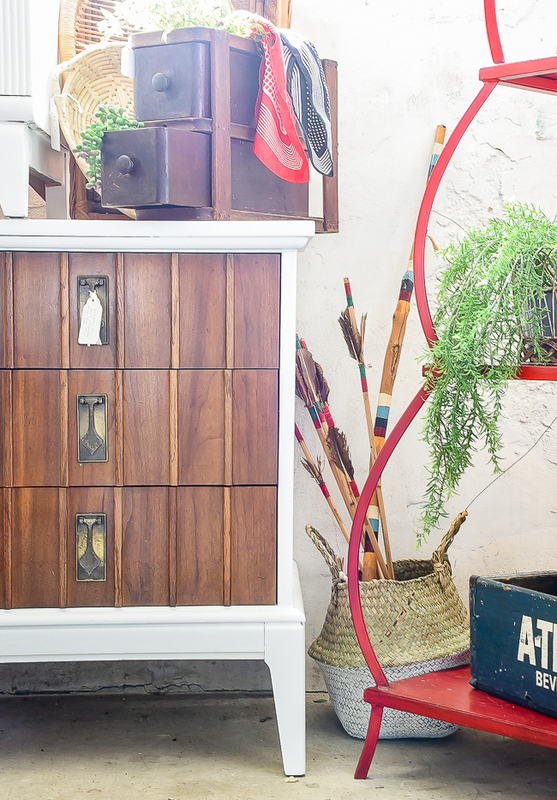 The black hutch is $225. I LOVE that red stand! I was in Frederick on Sunday :( I will definitely be stopping next time I'm there!